Meditation candle holder in Glass and Recycled Aluminium. 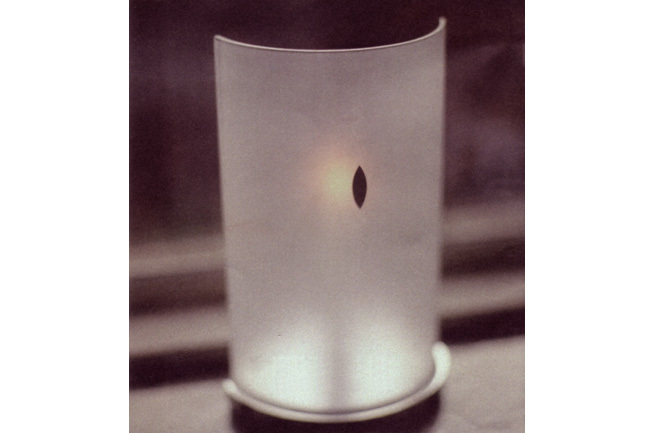 “Light the candle and wait until the flame reaches Zenith”, the clear flamelike opening in the glass. It takes about 30 minutes, and functions as a Reminder to be mindfull and present in our everyday life.. Designed for Design House Stockholm.